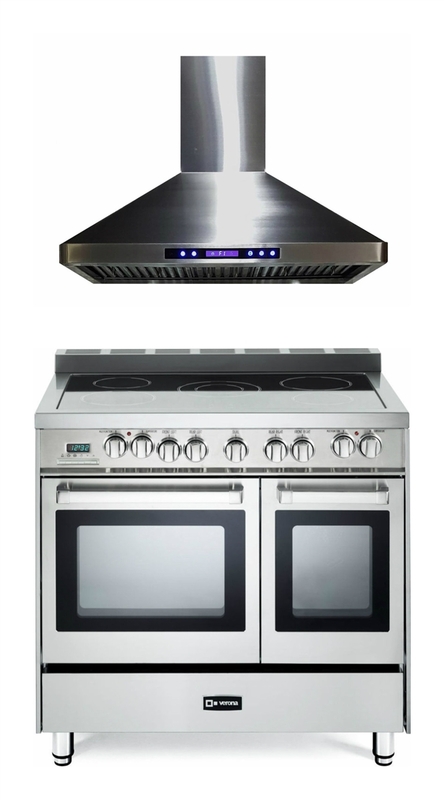 The Verona 36" all electric range delivers the performance expected from a professional range. 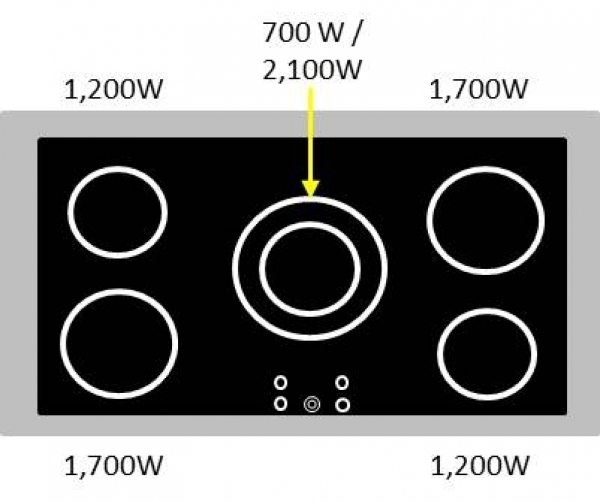 The black ceramic glass cooktop includes 4 elements plus a center dual element specially designed to safely accommodate large stock pots. 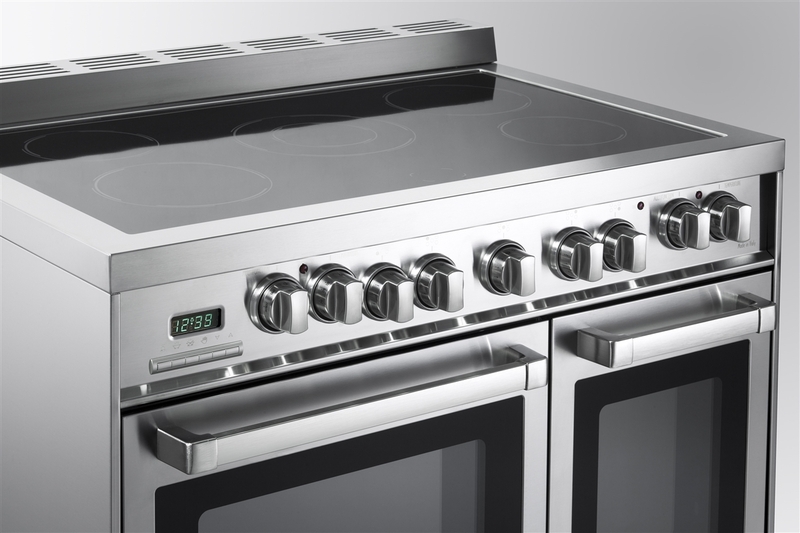 Two multi-function convection ovens provide seven cooking modes each to prepare your meals with better results and in less time than conventional ovens. A full width compartment provides extra space for storage. Constructed with 304 stainless steel, this range is durable and has high corrosion resistance. 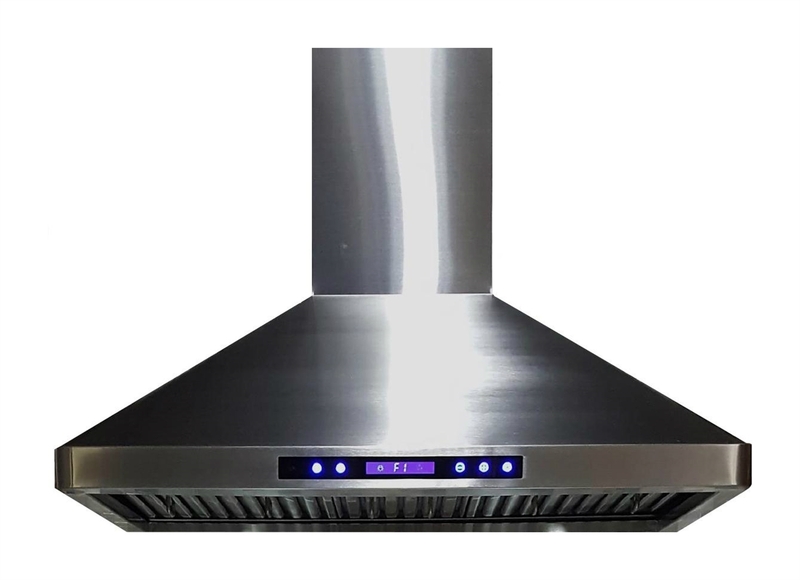 Height (in) of Backguard : 2"
The Verona Range Hood has a clean, straight-line design with rounded edges for a commercial style or residential setting. A touch sensitive keypad allows the user to adjust the fan speed, light setting and delayed power auto shut off (15 minute pre-set). 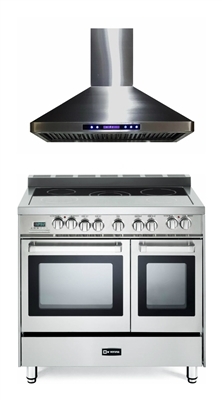 Wall mount range hood features a telescopic decorative chimney that fits 8 ft. ceilings, extensions available.